3 Bedroom End of Terrace House For Sale in Chichester, West Sussex for Guide Price £675,000. 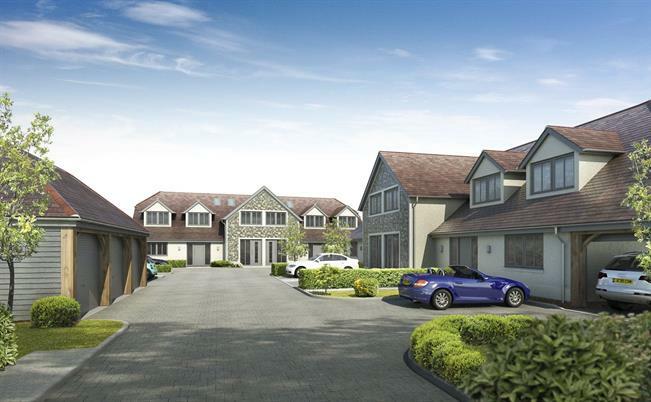 A prestigious, boutique freehold development of eight cottages set within a quiet secluded flint styled mews. Situated in an exclusive area of Chichester. Foxholme Mews cottages are carefully designed to an exceptional standard with superb functional specification. Clever architectural design allows the maximum use of natural light - offering a very relaxed lifestyle and a great investment potential. An outstanding development by Mirilion Properties - homes with bright spacious accommodation on two floors. shower room and generous fitted cupboards. A snug/study/spare bedroom and a utility room complete the ground floor features. the master bedroom has plenty of wardrobe space and an en-suite shower room & WC. The other 2 bed rooms share a family sized bathroom. Each cottage has 2 parking spaces for you and your visitors - a very desirable facility for Chichester residents. Each cottage has 2 parking spaces. Chichester, a cathedral city, nestling between the glorious South Downs National Park and sea. Foxholme Mews is tucked away in Summersdale, a desirable, leafy area of Chichester within easy reach of the city hub. With its renowned Festival Theatre, a vibrant mix of restaurants, unique shops, art galleries, cosy pubs, and bustling outdoor markets, Chichester is recognised by the Sunday Times as one of best places to live in the UK. The Mews is situated within minutes of Chichester Harbour, a designated Area of Outstanding Natural Beauty. With its idyllic beaches, fascinating coastal villages, thriving water sports and the glory of the South Downs - there are abundant land, sand, air and water-based adventures to enjoy.